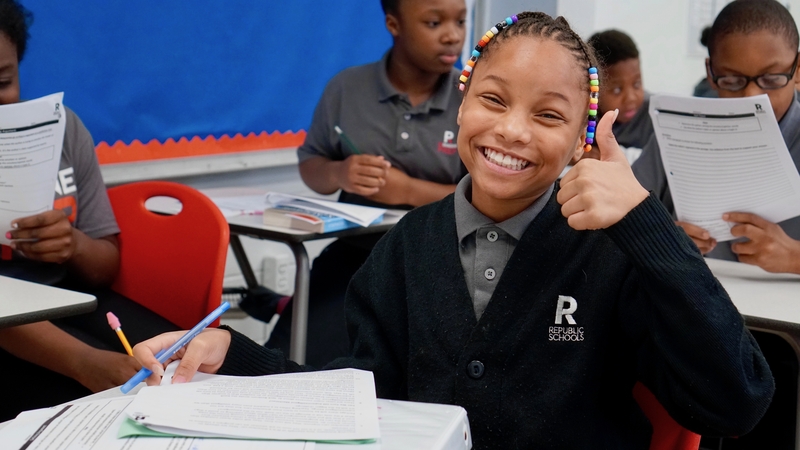 After successfully growing and stabilizing three middle schools and one high school in Nashville, RePublic Schools launched Reimagine Prep in the fall of 2015 in Jackson, MS. It currently serves more than 700 5th, 6th and 7th grade scholars and will grow to serve over 1,200 by 2022. RePublic Schools has experienced strong growth and results over the past six years (serving over 3,000 students network-wide) and, with a focus on computer programming instruction, has been recognized by Stanford University and the Charter School Growth Fund as one of the highest performing charter school networks in the nation. This innovative use of NMTCs involved philanthropic leverage as well as Mississippi NMTC incentives to fund the facility expansion, which will be operational in the 2018-2019 school year. This is the first use of NMTCs for a charter school in Mississippi. Economic: NMTC financing will help fill a capital gap of $2M necessary for the growth of the school, freeing up philanthropic funds for teacher training, programming and recruitment. Jobs: The Project creates approximately 47 new teaching jobs (average wage over $45K) to adds to its current 31 teaching positions and provides a viable educational alternative for students in a public school district with an “F” rating and at risk to lose accreditation. Community: RePublic was founded on the belief that digital literacy is the key to dismantling historic barriers to equality in the South. RePublic’s unique curriculum introduces computer programming to students in 5th grade and continues teaching and building upon this foundation until high school graduation. Workforce Development: Each student will graduate with programming abilities that rival those of an entry-level programmer, before even stepping foot on a college campus.